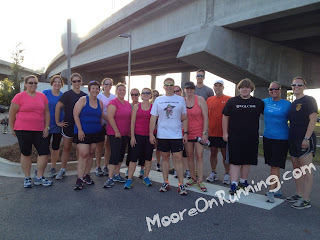 Last night I met my MooreOnRunners Intermediate Group for Hill Repeats and Speed Drills. The weather was perfect and we had a great turnout. There are all kinds of excuses you can use to not run and coming up with one when you know you are about to do a hard workout is really easy. 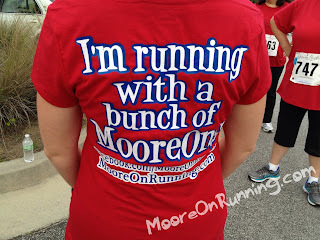 So seeing so many runners there, ready to go, really was amazing. We warmed up with a short run and then headed to the bottom of the Cooper River Bridge. 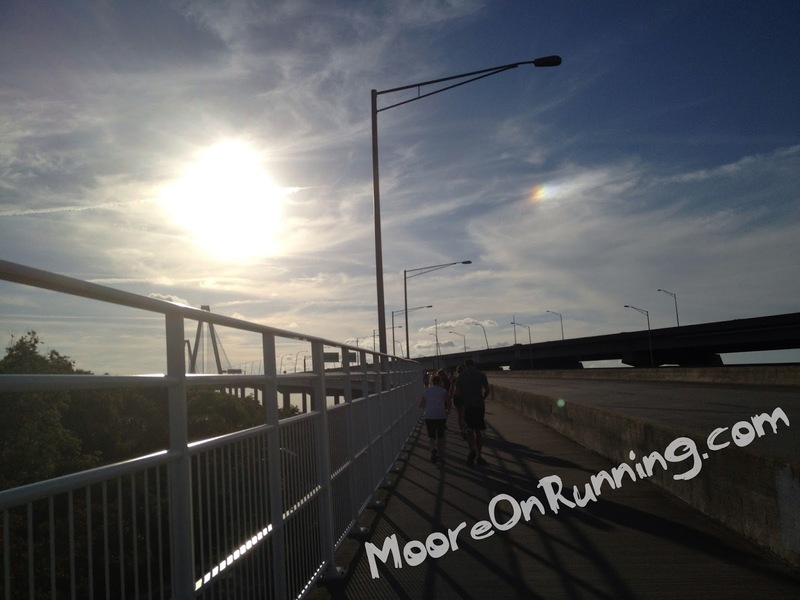 The workout is pretty simple: 90 seconds hard pace up and walk back down for a recovery x 6. A lot of the group didn't have watches (even though I reminded them to bring them!) to time themselves going up so I brought a whistle (I never get to use my whistle). might not seem that long at first, but it seems like it's an eternity the more repeats you do. The group ran really strong. 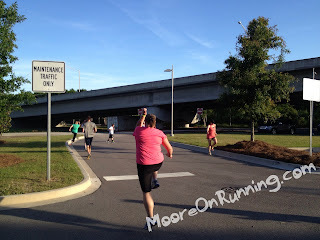 I was super impressed with their effort and how they stayed with it for the whole workout. finished I could tell they had worked hard. 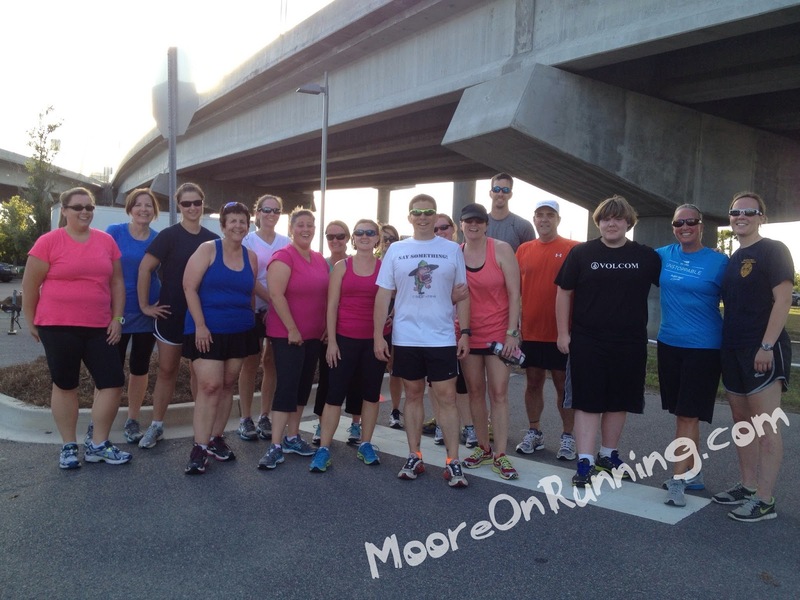 One of the amazing things is that most of this group just finished my Couch to 5K program at the beginning of May! Pretty impressive, if you ask me. for a 5-6 mile midnight run in July. they get to pick what they want to do as a group. The only rules are that it has to be something a little out of the ordinary and it has to be an adventure! 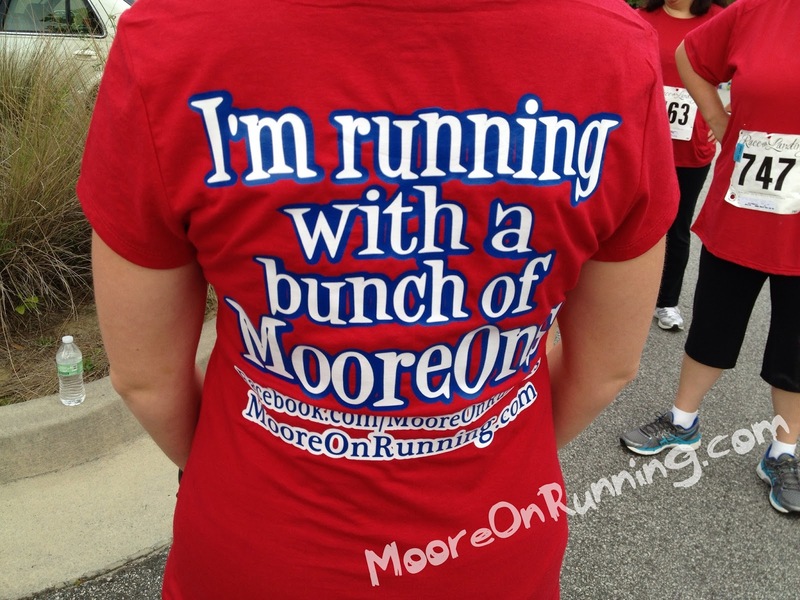 Plus, I get to say I'm running with a bunch of MooreOns! I hate that I had to miss this- I actually wanted to do it :). 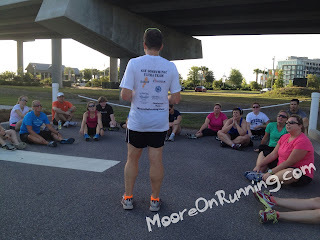 But, I did speedwork with some other ladies here in West Ashley that morning and didn't think it would be wise to do speedwork twice in one day. I hope I can make the next one. Also... are they doing a 5-6 miler with the midnight run? I hope they do because I have a few friends who may be in for that. I am doing the half of course- overachiever! Thanks Amy! They are pretty tough!